This lower body series from Men’s Health fitness director Ebenezer Samuel, C.S.C.S. weaves three exercises into one for a killer leg blaster that hits your glutes, quads, and even your core. 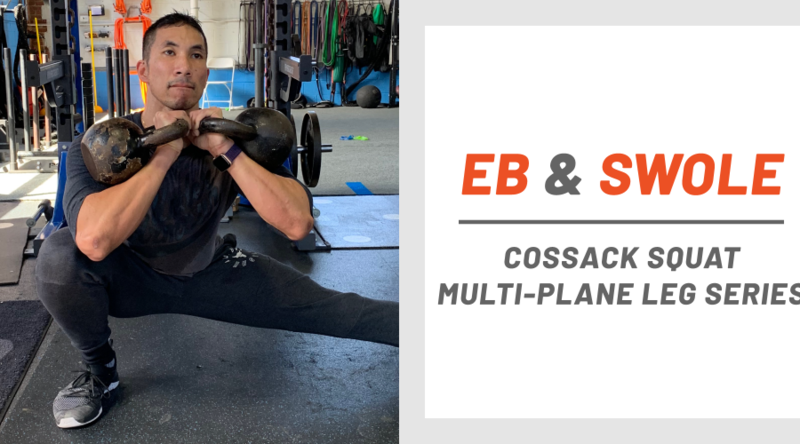 To perform the cossack squat multi-plane leg series, you’ll need a pair of kettlebells and some space to spread out, since you’ll be bending, lunging, and squatting in multiple directional planes. If you don’t have a good set of weights, check out this option from Yes4All. Add this to your leg day as a finisher or, if you’re tight on time, try it as a standalone 15-minute workout by performing 3 to 4 sets of 5 to 6 reps per side. For more tips and routines from Samuel, check out our full slate of Eb and Swole workouts. If you want to try an even more dedicated routine, consider Eb’s New Rules of Muscle program.